Dr. Locksmith Winnipeg understands how important it is to keep your business secure, with our highly skilled professional commercial locksmith technicians you can be sure that you will recieve the best service for the lowest price in the area. All of our technicians have been fully licensed, insured and bonded and are constantly trained in the most up to date commercial locksmith locks and technologies. Your priorities are our priorities, and by keeping our commercial locksmith trained in all the latest advances in business security solutions, we are able to provide each and every one of our customers with the very best level of quality customer service we have become known for. 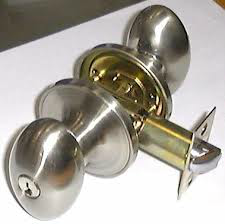 Being locked out of your business means that you are losing money and Dr. Locksmith Winnipeg understands that. Our technicians can be on scene to let you back inside in only a matter of minutes after your call. Do not be left out to dry waiting for just anyone to show up, and choose the quick response of Dr. Locksmith Winnipeg's licensed professional locksmith technicians. Our technicians can typically be on site within 20 minutes to get you back inside to cater to your business, and making money like you should be. 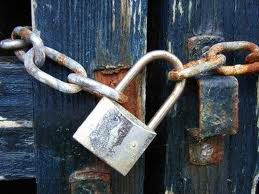 Changing or rekeying your locks, whether it be for residential or commercial locations, is important in the upkeep and maintenance of the security of your business, and in making sure that only the proper and authorized individuals have access to that location. This can help to deter internal theft and theft from former employees, as well as any external ones as well. Locks, cylinders, and keys, much like anything else, are susceptible to normal wear and tear associated with normal usage, hence regular repair and maintenance can help to keep older locks working like new. Dr. Locksmith Winnipeg can always offer advice in regards to changing, maintaining, or updating the security of your business, any time of day, 24/7.